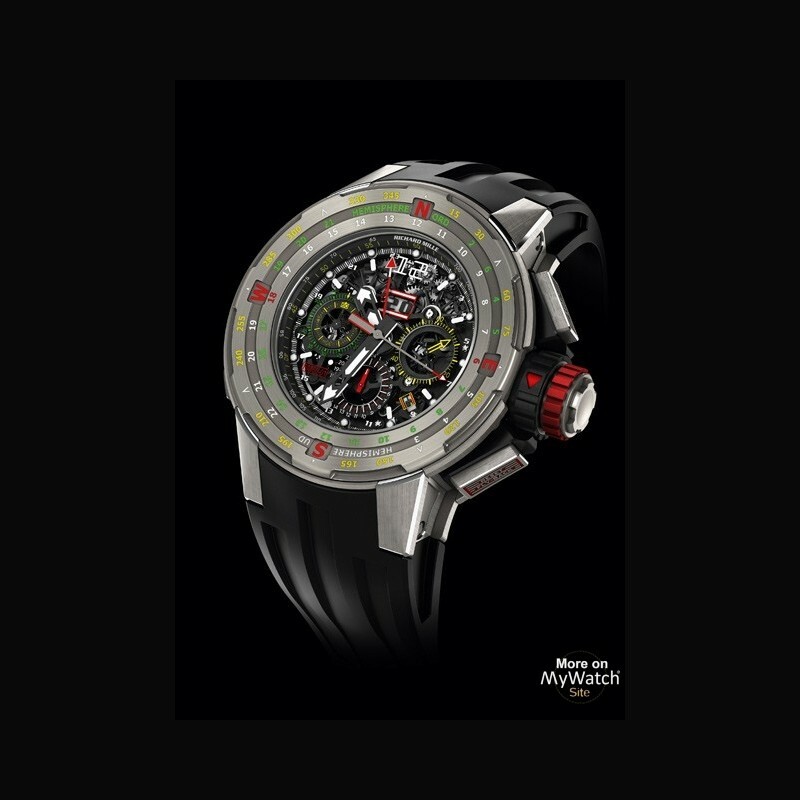 Price request for RM 60-01 Chronographe Flyback RégateRef. 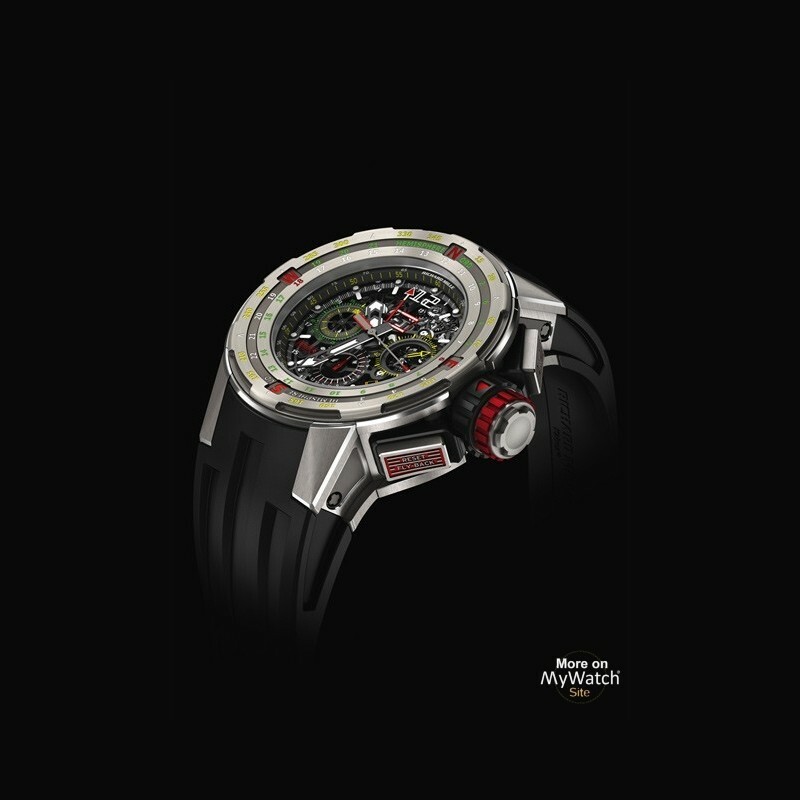 With the RM 60-01 Regatta Flyback Chronograph, Richard Mille presents his ﬁrst technical watch for navigating the seven seas. 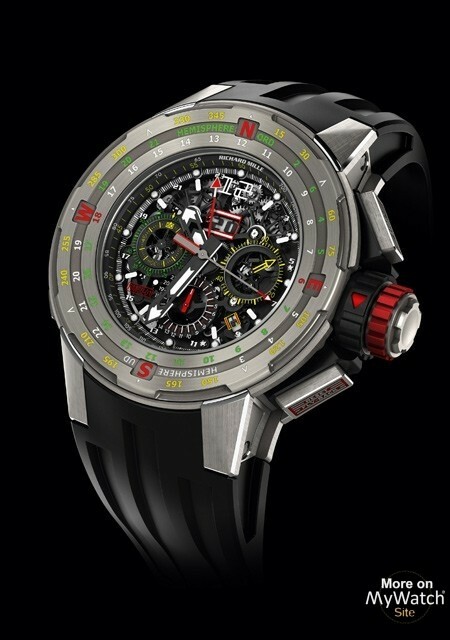 Powered by the grade 5 titanium RMAC2 caliber with its 55 hours of power reserve, variable- inertia balance, complete ﬂyback chronograph functions, annual calendar with oversize date and UTC function, the RM 60-01 adds navigational capabilities thanks to its special rotating bezel with indications of the four cardinal points combined with a graduated 360° and a 24-hour scale disk. 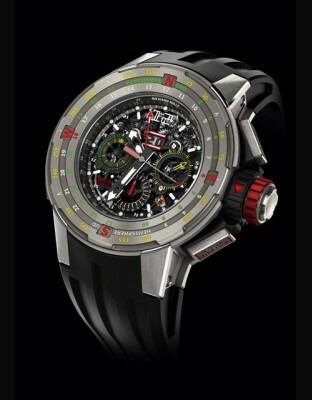 Using the RM 60-01 is based on two factors: knowledge of local time and the position of the sun. 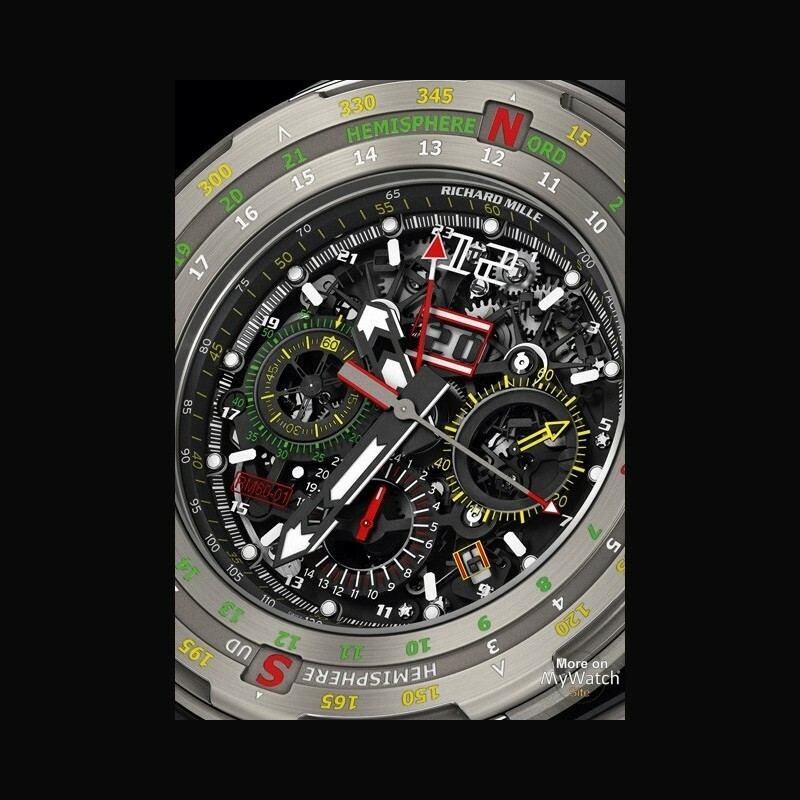 To calculate one’s location, the UTC indicator is directed towards the sun using the UTC pusher located at 9 o’clock and then the bezel is turned so that that the UTC hand lines up with the actual local time engraved on the bezel’s circumference. When set in this manner, the compass headings North, South, East and West on the bezel will be correctly aligned with the actual direction on the Earth’s surface. 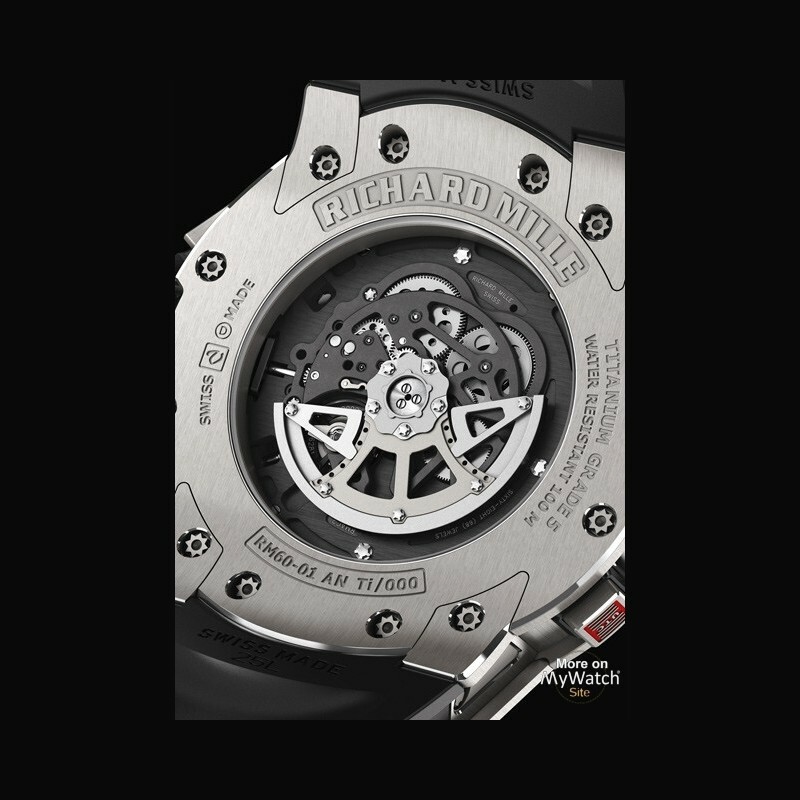 What differentiates the RM 60-01 form other similar types of watches is its ability to orientate within the northern as well as southern hemispheres without any additional calculations. 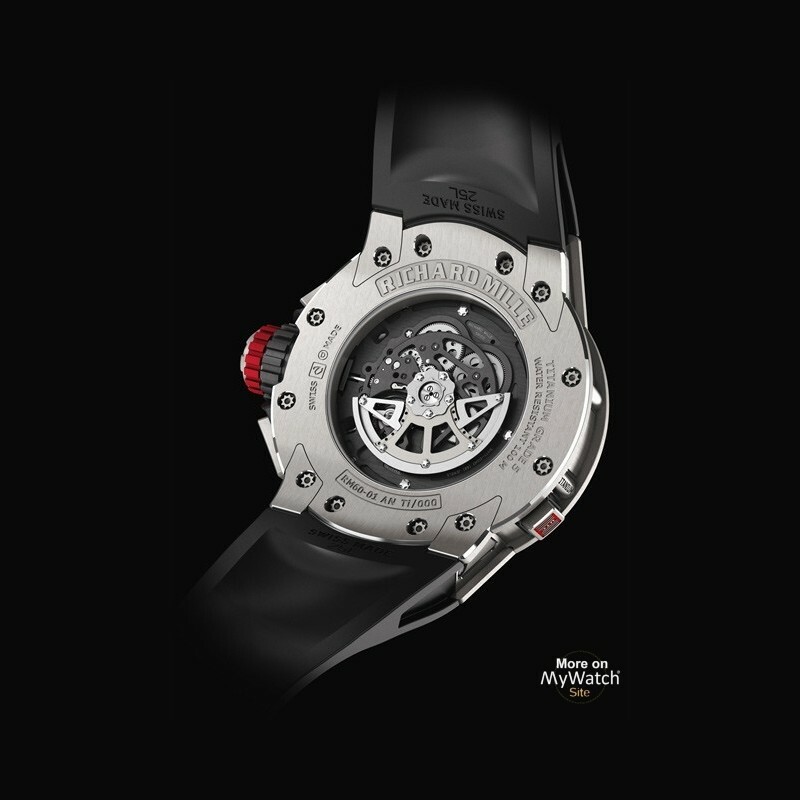 As an additional safety precaution, the chronograph pushers have a special quick locking and releasing mechanism. 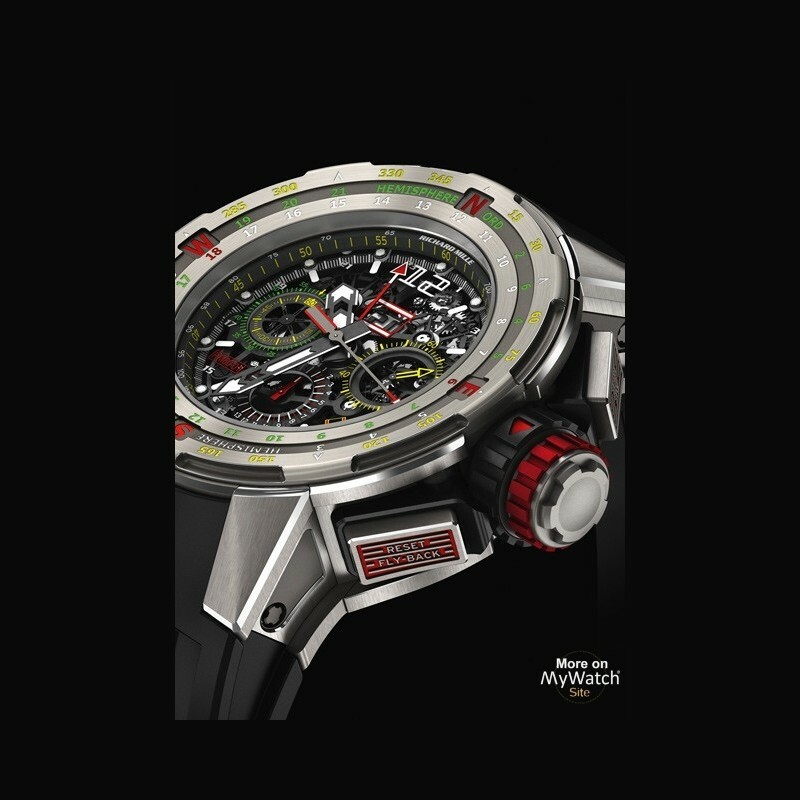 Locking (red arrow) and unlocking (green arrow) the ﬂyback chronograph pushers requires only a quick turn of the secondary crown, thus avoiding possible accidental changes of the chronograph readout.